I recently received a copy of Paul Sellers' book on hand tools. 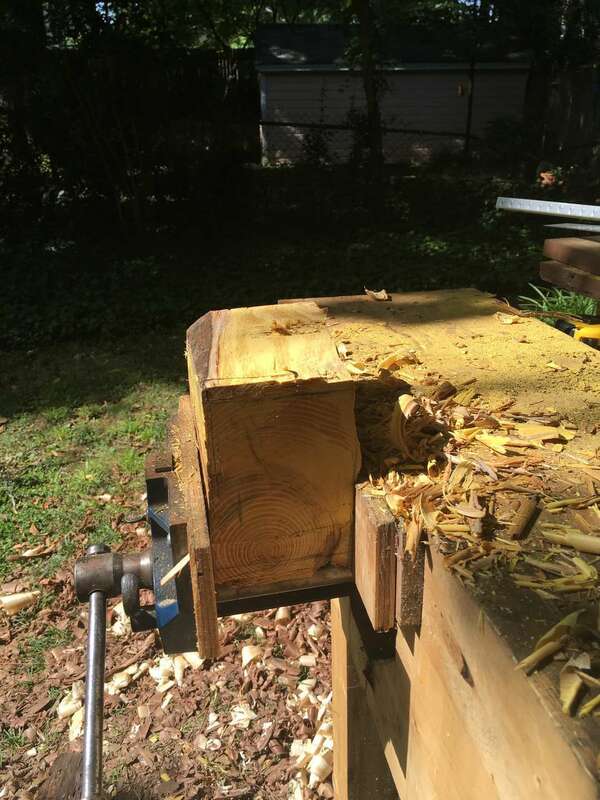 In it, he describes the mallet he designed and gives some tips on reproducing it. 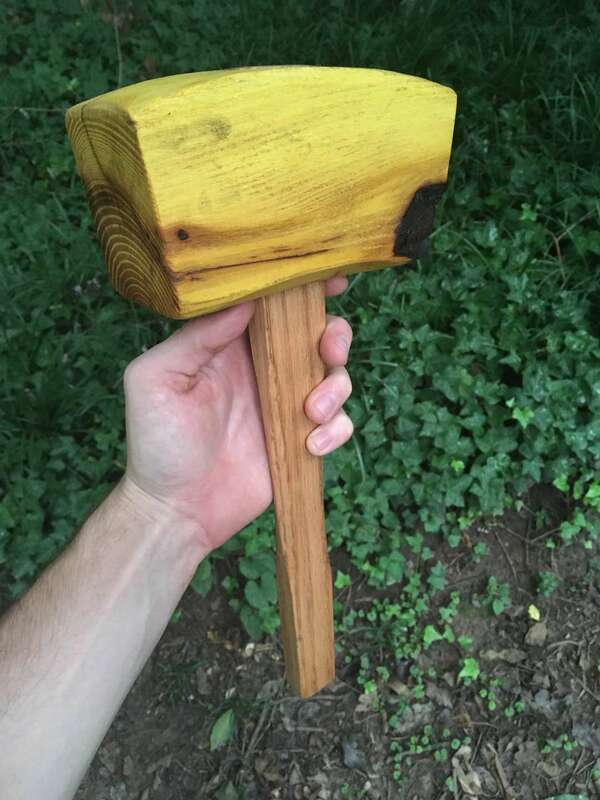 Here is a link to a bit of information on his website: https://paulsellers.com/2013/04/heres-my-mallet/. 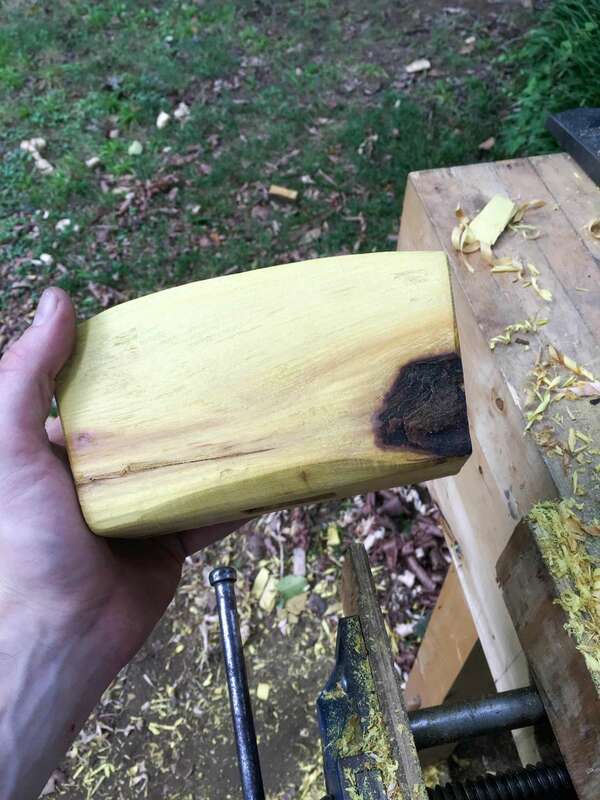 Laying out the mallet head on a hunk of Osage orange. 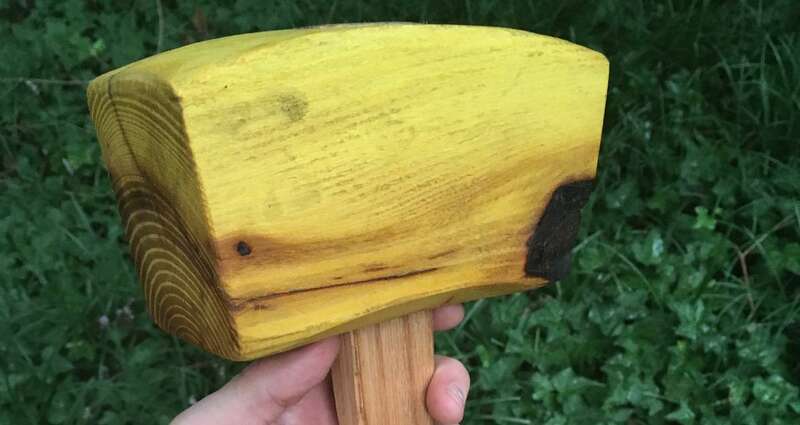 Osage orange is an ideal wood for mallet heads due to its extremely tight, dense grain. It is also one of the hardest woods found in the US. 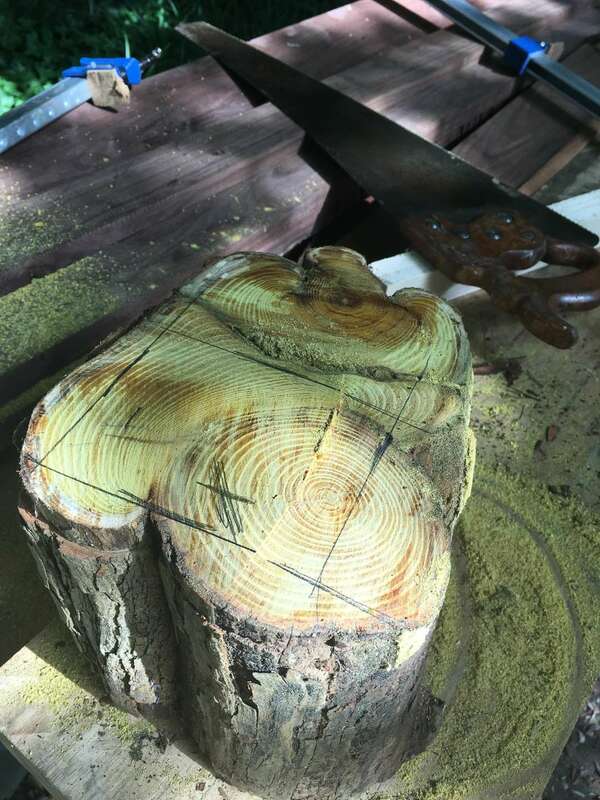 Chopping away with an axe. 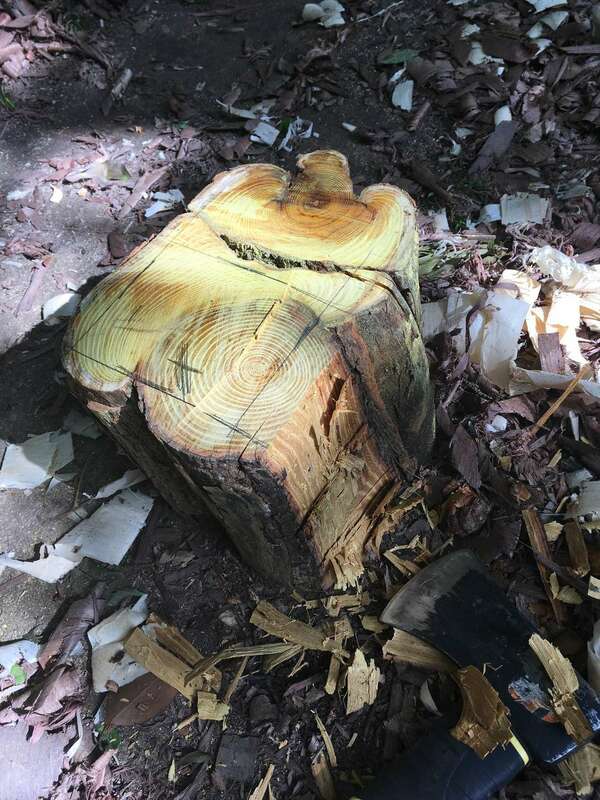 The axe is an extremely valuable tool for woodworking. 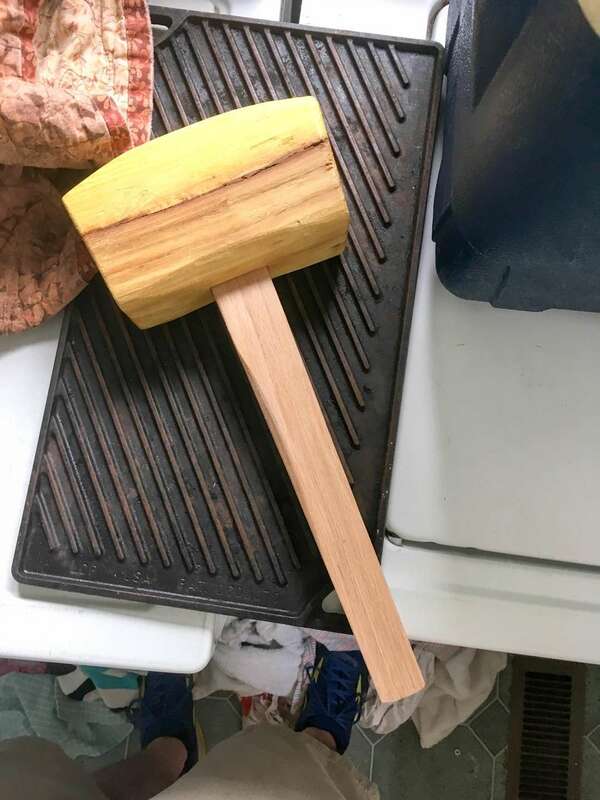 With a rough mallet head, I started to 4 square the head. For the uninitiated, this means making sure all four sides of the block are square with one another. 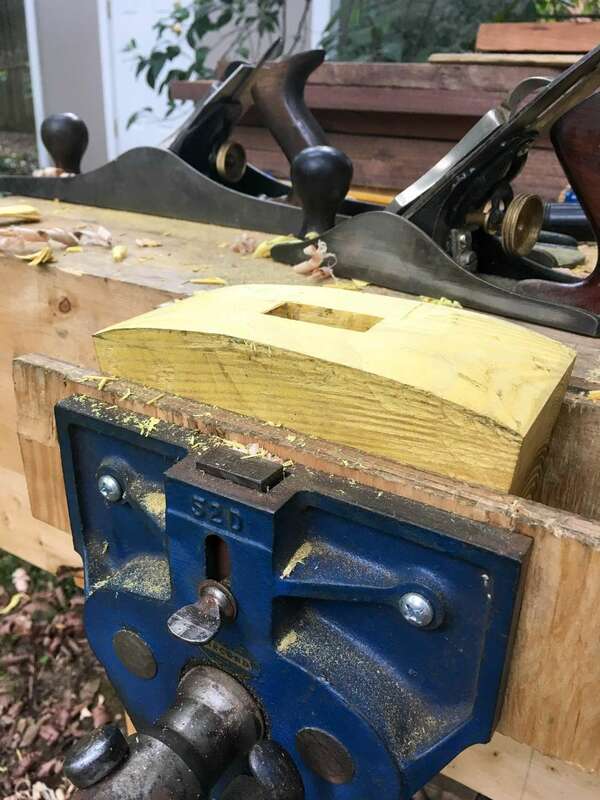 I mostly used a stanley #4 plane for this job. Having marked the centers of top, bottom, and one face, I began boring a hole through from bottom to top. 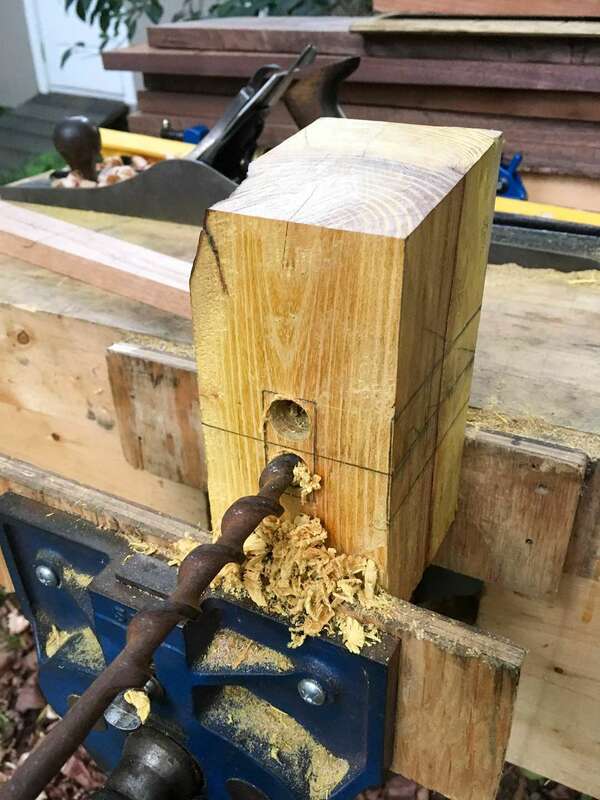 Cleaning out the hole with a chisel leaves a nice through mortise. This picture also shows the rounding of the top of the head. 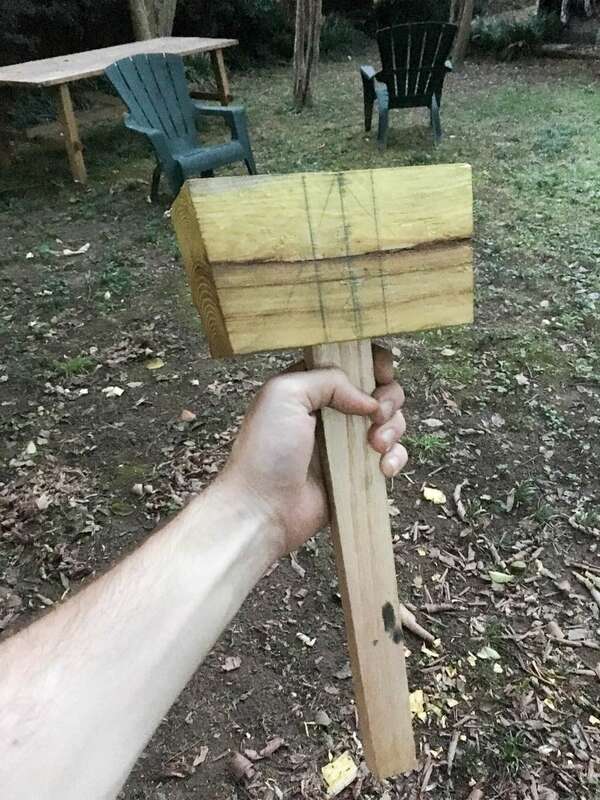 A rough result of fitting the oak handle. The head all smoothed up and some scallops taken out with a spokeshave. I took some scallops out of the handle too, mostly just by feel until it felt good in my hand. After much smoothing with a scraper and sandpaper, I used boiled linseed oil over the course of a few days to finish it.